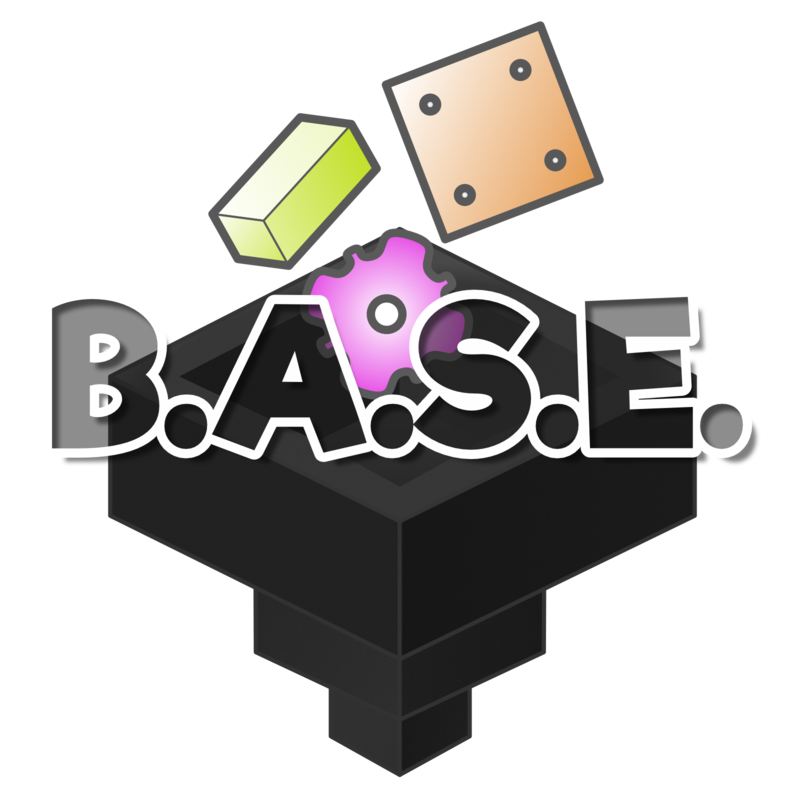 B.A.S.E (BASE) is a library used by mods created by both the Team Acronym Coders, and Brass Goggled Coders. For those looking for the Material Creation abilities that were once in B.A.S.E, please see ContentTweaker, as that now has all the ZenScript handling that BASE had. You have our permission to use this mod in any private & publicly distributed modpack. Talk to the developers here! Location: On an island in the sky. the /mt reload doesn't work. We can't allow reload because we have to add stuff in during startup. So this adds items automatically based on what mods are installed? It's all done through minetweaker scripting or configs. This mod doesn't "hide" item types behind certain mods being there. So if you want to add "XYZ Gear" without needing a mod that adds gears to begin with, that is possible! I get that, but will it automatically add things that are there, too? I currently have a mod (Embers) that adds copper, silver, and lead, and another mod with a crusher (Actually Additions) but it can't grind modded ores, since it doesn't have a dust form for those. I'm looking for a mod that works like Another One Bites the Dust, but in 1.11.2, that automatically does that. I might use it with Crafttweaker, to add other items, but for now I just need more dusts. It does not do it automatically. You'd need to register the dusts themselves. :) They did it ! Seriously guy's you are amazing ! thanks ! Like what ? multiple Vein Generators for custom Ores ? It seems the Iron Gear is not registering in 1.10.2. I have Iron registered (Iron Plates, nuggets, showing) but no Iron Gear, also looking at what the stone gear can be used for in JEI shows the 4 iron ingots around the stone gear, but produces a "Null Part" with the meta data of 2. Can you plus put this in an issue on github? As well as include any config options and scripts you may be using? Sure, I'll collect what info I can and update you there. Not entirely. While this can be used to fill in portions that AOBD it also allows modpack makers to add more types even for stuff that isnt already there. Is it possible to change the gear's base texture to match the gears from base-metals/modern-metals? You can do it with a resource pack. So I want to ensure that ONLY the B.A.S.E items can be crafted/smelted. Is there a way to achieve this easily, or will I need a lot of Minetweaker scripts? You are going to need some Crafttweaker scripts unfortunately.